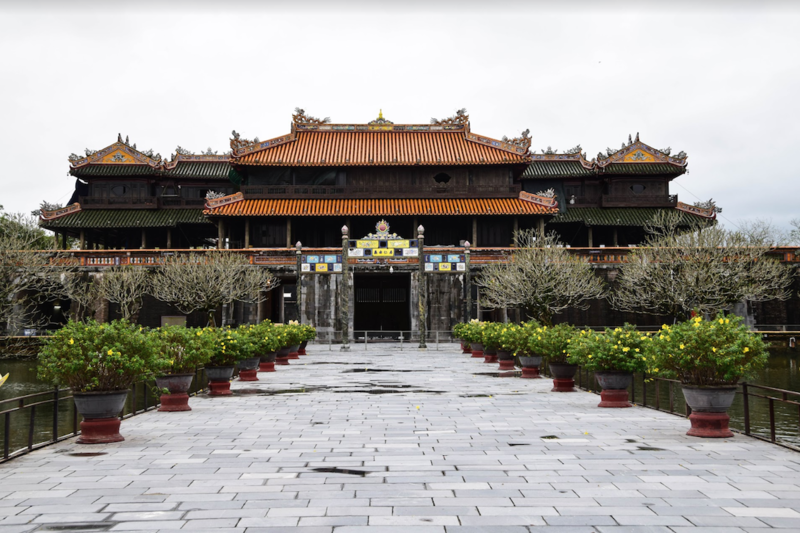 Grandiose structures and imperial residences, ladies dressed in Ao Dai and Non La, and pushcart vendors offering their colorful fruits and vegetables or steaming fresh local specialties… all this and more is Hue, Vietnam’s former capital, and imperial city. The most convenient and affordable place to get a room in Hue is in the town’s backpacker district. It is located between Le Loi and Le Qui Don streets and is only about a fifteen-minute walk from the Citadel. This area offers a seemingly endless supply of guestrooms, restaurants and convenience stores. It is undoubtedly the best place to be close to everything you might need during your stay here. Book in advance to make sure you get a place you really like. Or if you’re hunting for some discounts, walk into a few hotels or hostels and ask what kind of deals they can offer you. A general rule of thumb is that you can get a bigger reduction later in the day. The only time you really need to make reservations ahead of time is during the biennial Hue Festival. Since it attracts so many visitors, rooms go quickly, and prices are higher than usual, especially when you try booking last-minute. Even if you can’t see all the buildings, it’s a wonderful place to visit and let history come to life. 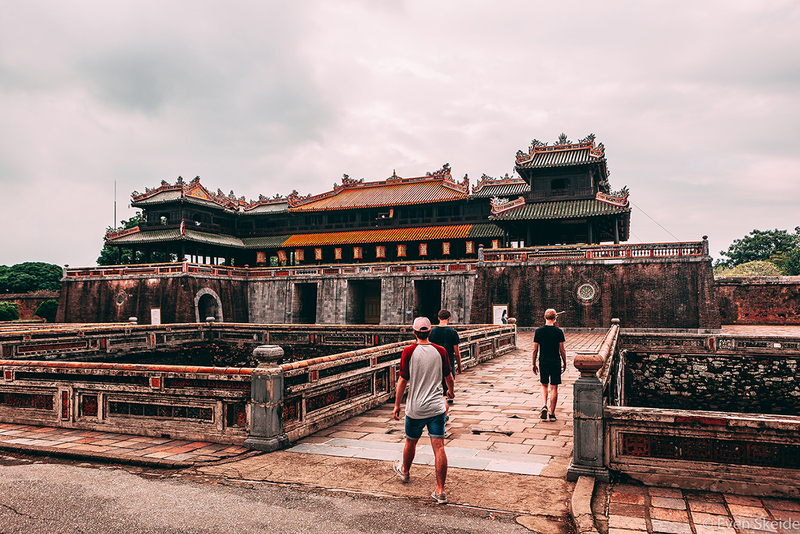 To learn more about visiting the Citadel, check out our article “One Day in Hue”, where we share more history, details about opening times, entrance fees, and how to get there. For more information about the tombs, how to get there, opening times and entrance fees, check out our article this article to find all the information you need to plan your trip. Finished all the sights but still have some time on your hands? Then you’re in luck because Hue has some more great places that are not as well known to visitors but definitely worth a visit. For an even more detailed look at what you can see and do off the beaten track check out this article. Opened in 2004, this water and amusement park was only operated for a few short years before being closed down. Originally it was planned as a place for families to enjoy a weekend of fun rides, interesting aquariums, and entertaining shows. Today it has become a popular place for those who like the eerie feeling of all things abandoned. If you’re one of them, Ho Thuy Tien is a great way to spend a few spare hours. 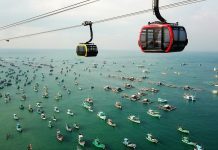 While Da Nang and Hoi An usually get all the credit (and the visitors!) 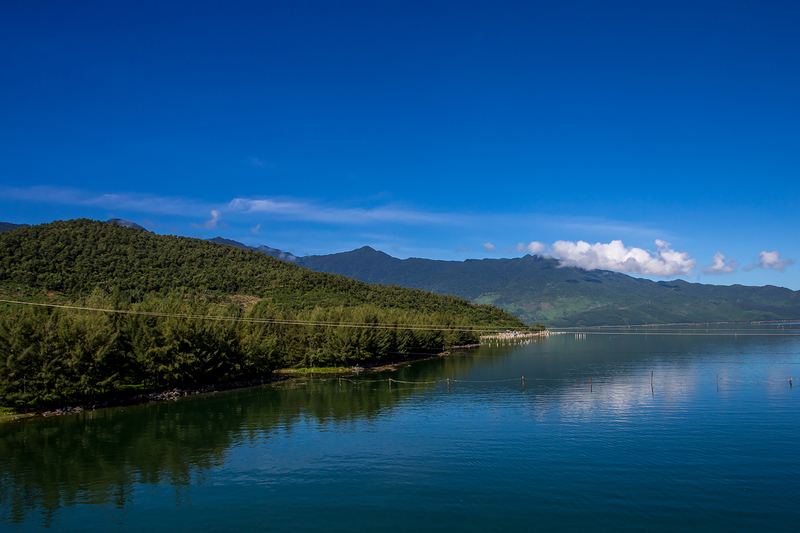 for their wonderful coasts, Hue boasts equally wonderful beaches that are not nearly as busy. For a refreshing swim, a wonderful view of the surrounding majestic mountains and a colorful sunrise, go to Luang Co and Thuan An. Soft white sands and blue waters welcome you there and you’ll probably be surprised why such a great place attracts so few tourists. So, pack your bathing suit and a towel, and get going! 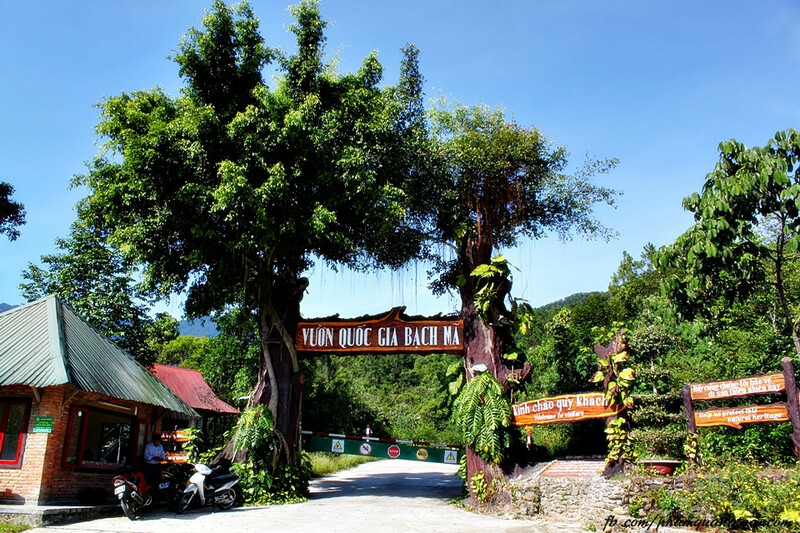 Bạch Mã is also the home of many rare species of plants, birds, and insects, so tread lightly and you might get to see some of its special residents. If this is something you are particularly interested in, get a local guide to show you the best spots for bird and animal watching. Get ready to see bulbuls, malkohas, herons, and egrets to name only a few of the over 350 native species. Hue is known for its delicious food. Make sure you save your appetite for some of the yummy local specialties. As the home to the Imperial Court, local chefs were constantly challenged to come up with dishes with valuable ingredients and exciting flavors. This is why even today the cuisine is considered especially refined and delicious. Some of the city’s must-try dishes are Bun Bo Hue, a fragrant noodle soup, Com Hen, rice served with local mussels, and Banh Beo, a steamed rice pancake. Check out our article on which delicacies to try in Hue, or this one for vegan cuisines, and learn more about these dishes as well as where to find the best restaurants that serve them and many more local treats. Getting to Hue is quite easy. 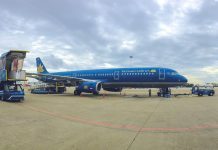 The city has its own airport that you can reach via a domestic flight from Hanoi or Saigon for example. If you’re already in Da Nang or Hoi An, then you can also take a bus or hire a driver. While the bus is definitely cheaper, the private car will get you there more quickly and comfortably. 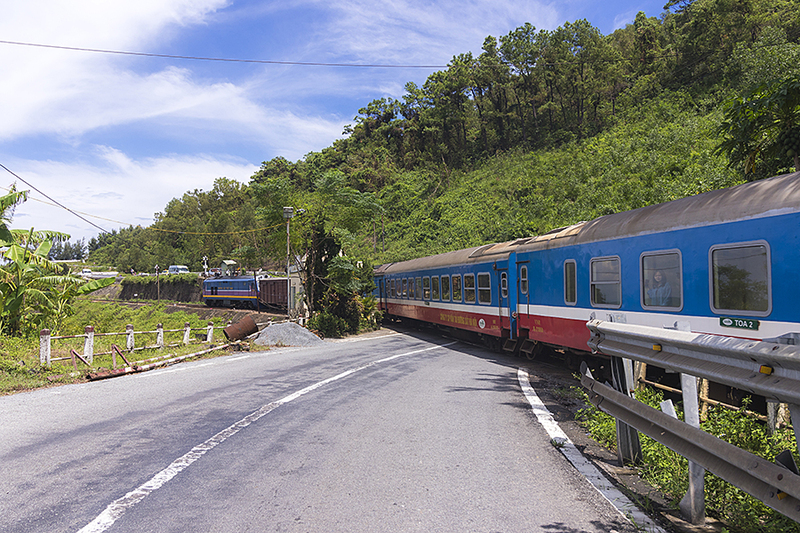 For a real local experience, consider taking the train from Da Nang. It’s a beautiful ride through luscious, green landscapes that show you Vietnam from a wonderful angle. 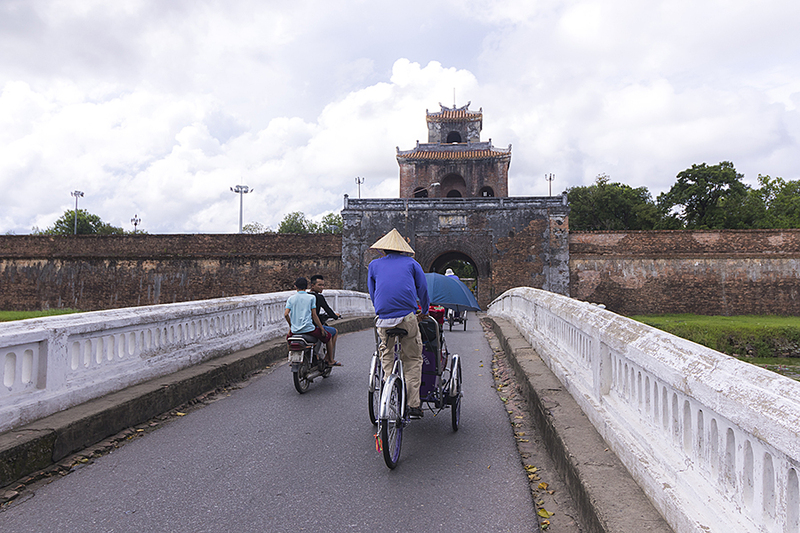 Once you’ve gotten to Hue, transport options are similar to other cities. To get from A to B quickly, grab a taxi, or a motorbike. All the main sights in the Citadel are close together, you can walk. To reach the imperial tombs along the Perfume River, however, you will need to drive. There are many day tours that take you to the tombs. Or again, you can hire a private driver to take you to the sights you most want to see. If you’re feeling adventurous, rent your own motorbike and drive yourself. Just make sure you rent your bike from a trustworthy shop and have a good map with you. 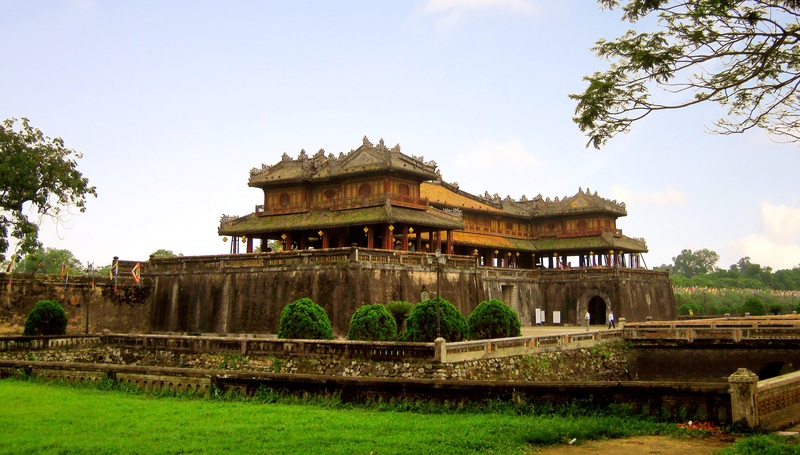 Visit Onetrip in Hue for more information and booking. Enjoyed this article and want to know more about Hue? 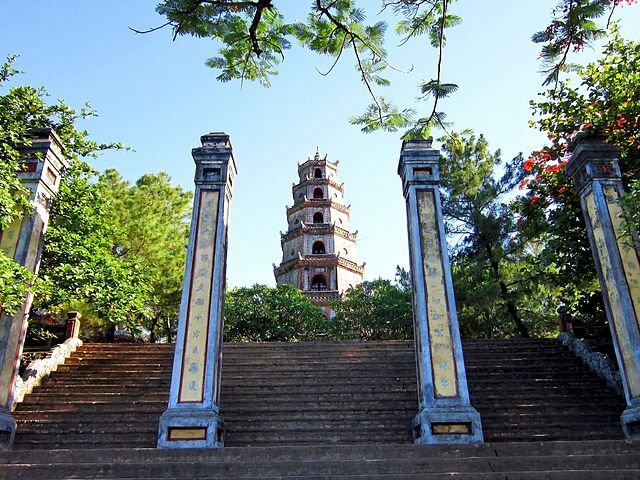 Click these links for more information on Hue, what to see, do and eat, and how to get around in this fascinating place! 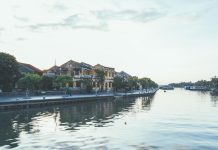 If you enjoyed reading this article and would like some more fun info about Vietnam, follow us at the Christina’s Blog!